Suspense builds at a murderous pace in this spy-chasing thriller after "The Photograph" is revealed. 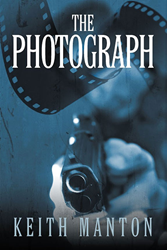 Suspense builds at a murderous pace in this spy-chasing thriller after "The Photograph" is revealed. Once Pandora’s Box is opened, it can never be shut, is the lesson learned by Ray Martin, an Englishman living and working in America. Following his divorce, Ray meets Grace, a much younger woman, and they move to Washington, D.C., where she works in the defense industry. The couple rent a condo owned by a secret service agent away on assignment. One day Ray discovers a hidden 35-millimeter camera with film still inside. When he jokes they should develop the film to see what’s on the roll, Grace tells him no. But eventually Ray’s curiosity gets the better of him and he has the film developed. What he discovers plunges them both into a web of international intrigue. As their lives begin to unravel surrounding the conspiracy uncovered on the film, Ray finds himself smack in the middle of international espionage, corruption at the highest levels of government, and a major assassination plot. Whom can he trust now that lives are on the line? About the Author: Born in a quiet backwater in rural England, Keith Manton enlisted in the British Royal Navy at age 15, where he grew up fast as he travelled the world. His post-naval career in the agricultural chemicals industry led him to immigrate to the U.S. Currently residing with his wife in Atlanta, he is previously the author of the autobiographical work "The Naked Pilgrim." THE PHOTOGRAPH (Kindle ISBN: 978-1-63135-271-3, ePub ISBN: 978-1-63135-272-0) is available for $9.99 at http://epubco.com/shop/products/the-photograph-by-keith-manton/. The soft cover version (ISBN: 978-1-62212-194-6, $15) can also be ordered through the publisher’s website: http://sbpra.com/KeithManton. All versions are available at Amazon.com and Barnesandnoble.com. WHOLESALERS: This book is distributed by Ingram Books and other wholesale distributors. Contact your representative with the ISBN for purchase. Wholesale purchase for retailers, universities, libraries, and other organizations is also available through the publisher; please email bookorder(at)aeg-online-store(dot)com.